Junaid Jamshed kurta designs for Eid 2019 has been revealed recently especially for EID festival in this summertime. After the Holy month of Ramadan, there is a time to enjoy the Eid special holiday. 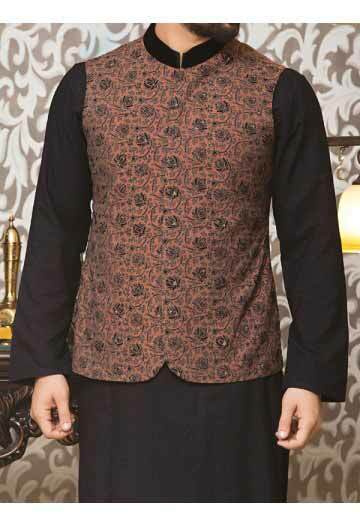 This latest Eid collection for men includes, Eid kameez shalwar, kurta and waistcoats designs with traditional yet modern styles. Like other designer brands, Junaid Jamshed J. 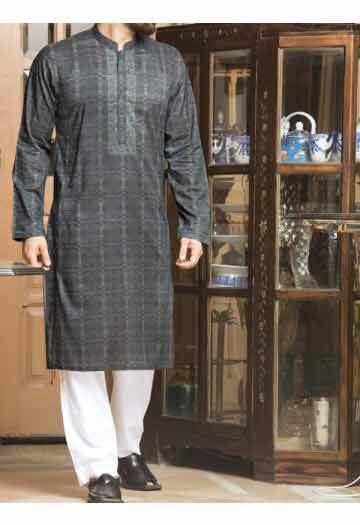 (JJ) has been exclusively launched new kurta designs. 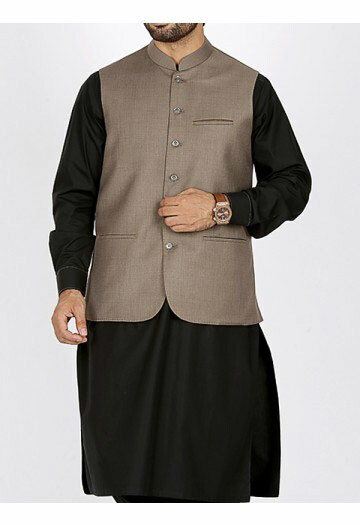 Keep visiting fashioneven.com for other luxury brands’ latest kurta designs for Eid 2019. 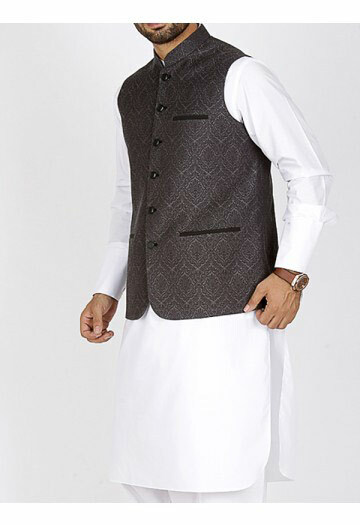 Pakistan’s best men fashion designers at several brands works day and night as a striver for in order to provide the stylish kurta shalwar kameez designs, Eid shoes, waistcoat styles, stitched and unstitched clothing and other fashion accessories such as belts, best leather wallets, luxury wrist watches, perfumes and so on. Those people who are interested to buy, they can visit the nearest outlet of Junaid Jamshed or shop online from the official website of Junaid Jamshed. Official websites allow you to view more than one image. Junaid Jamshed is one of the fastest growing fashion industry of Pakistan, which was founded in 2002 on Tariq Road. This fashion boutique is most coveted by almost every young men, women, and kids just because of it’s reasonable price, use of high quality fabric and unique prints. This stunning brand of Junaid Jamshed or widely known as J. or JJ, have got much popularity within a couple of years not only in Pakistan but also in other countries such as India, Saudi Arabia, Bangladesh, Turkey, United kingdom, Canada, Malaysia and now in Sydney (Australia). Adding a modern touch to the traditional shalwar kameez makes this brand exclusive in modern eras. Check out Junaid Jamshed kurta designs for Eid 2019. 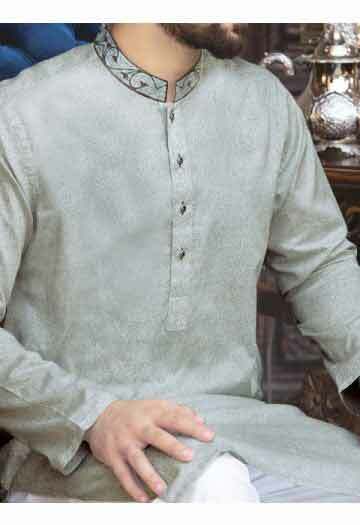 If we specifically talk about Junaid Jamshed kurta designs, then you will come to know that the best kurta designs, notable prints, attractive colors, cuff and collar combinations, delicate embroidery and of course the remarkable skills of designers at Junaid Jamshed are noteworthy that distinguish this designer brand from all other fashion industries in Pakistan. 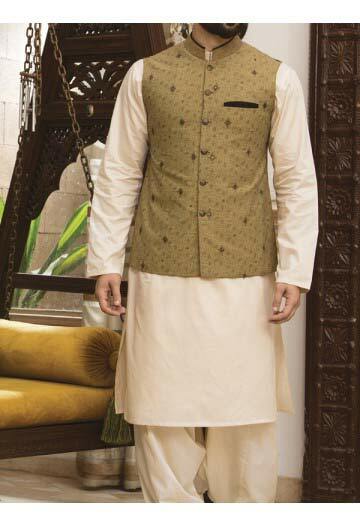 Have a look on the latest shalwar kameez and waistcoats designs by Junaid Jamshed. Following we have filtered the kameez shalwar designs that has been revealed by Junaid Jamshed. 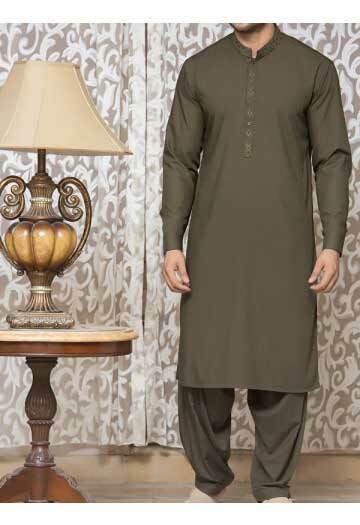 All of these kameez shalwar images are rich the the sophisticated colors such as black, brown, green, skin and blue. These shalwar kameez dresses comes in different styles and cuff collar designs that will appeal everyone around you. Here are the latest boys kurta styles that are specially designed for young Pakistani boys. These dresses are worn by Pakistani models just to showcase the new Eid collection of kurtas for boys. 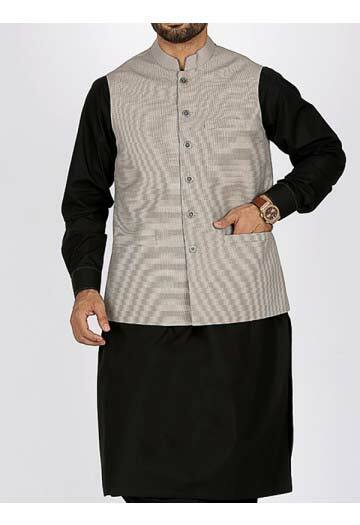 After watching the kurta images for boys, now here are the latest Eid waist coat designs for men that you can wear with plain or printed shalwar kameez. 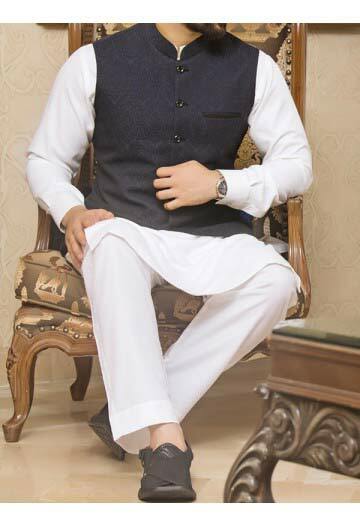 One thing you must keep in mind that whenever you go for the waistcoat, your main focus must be the color combinations of waist coat that perfectly matches with your shalwar kameez you are about to wear with. 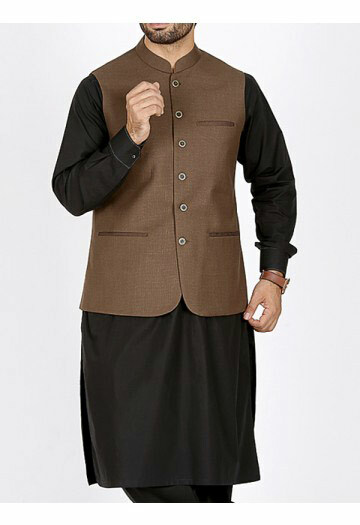 Learn the various ideas about how to wear a waistcoat with shalwar kameez at this upcoming Eid festival 2019, get inspired from the following visual depiction of waistcoat combinations with shalwar kameez for men. Like previous Eid kurta collection, this time Junaid Jamshed fashion industry provides you the best kurta designs that will help to grab the attention of others and make you stand out from the crowd. If we talk about the men fashion in Pakistan, then there are legion websites available on internet that letting in several ideas about men clothing, attractive shoes, delicate accessories and other styling items or products. Above you have seen the latest Junaid Jamshed kurta designs, which are full of sober and attractive colors and delicate embroidery work makes this collection classic and sophisticated among others. 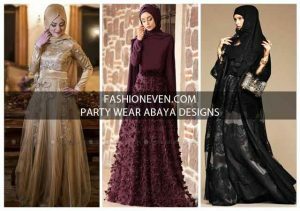 The most notable thing about this collection is that the prices of all Eid kameez shalwar, kurta and waistcoat articles are quite reasonable.